Betty White, Screen Actors Guild's 46th Annual Life Achievement Award Recipient.  Nominated and voted on by the Guild's National Honors and Tributes Committee, the Screen Actors Guild Life Achievement Award is bestowed for outstanding achievement in fostering the finest ideals of the acting profession. [Whispers to Sandra] …you are so sweet. [Whispers to Sandra] …thank you. Thank you from the bottom of my heart and from the bottom of my bottom, thank you for whatever. Oh my dears, I can’t… and the fact that this lovely lady, she is such a wonderful one and with all the wonderful things that have happened to her. Isn’t it heartening to see how far a girl as plain as she is can go. 71 years ago when I sang on an experiment thing, and it was called television, who would have dreamed it would culminate in an evening like this? I should be presenting an award to you for the privilege of working in this wonderful business all this time. Being in show business is like living in a small town. People greet you like neighbors, not like strangers. And through the mail you form friendships that last for years, with people you’ve never even met. I often wonder about people who don’t have some kind of passion; something that their…they care so deeply about that it never fails to fascinate them. How lucky can I be to have two such passions! Show business and animals. Actually, I may have more than two passions, but it’s none of your business. Back when I first started it would never even have occurred to me to imagine such a thing as this moment. And I still can’t believe I’m standing here. This is the highest point of my entire professional life. See the full press release here.